We recently wrote about a few drag-racing schools that look like should be required education in every school in the US, (strictly to make drivers safer, not because it would be 100% totally awesome and really fun to have high school drag race teams as popular as football!). However, we realized that there are a LOT more driving schools out there, and there is bound to be something near you, or at least one that catches your interest. Here's a quick review of just some of the driving schools that let you get behind the wheel and learn some new skills or refine your driving technique. There are a LOT of places to go to school and further your education, and I'm talking about DRIVING education. Check out this article from USA Today: USA TODAY with their 10 cool driving schools! There are some driving experiences you can get for FREE, well, free if you buy a certain brand of car and get yourself to where the school takes place! The Ford folks (linked above) will give you a day of driving for FREE when you buy a Fiesta ST or Focus ST. Similarly, the FIAT folks will do the same if you purchase an Abarth model like the 500 Abarth or the new 124 Spider Abarth. 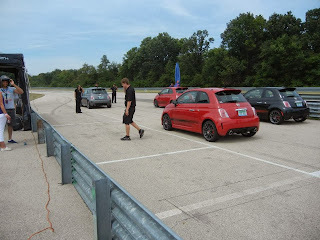 I took advantage of this school with a day of driving activities at the Autobahn Country Club near Chicago a few years ago, and it was a lot of fun!